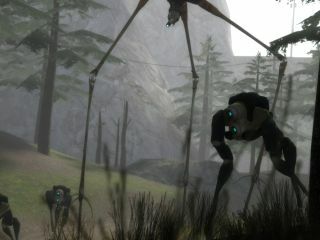 If you were expecting the latest episode in Valve's mighty Half Life 2 series to appear soon, then you might want to think again, with the developer claiming that Half Life 2: Episode 3 would NOT be ready for release in 2010. The awful news comes from the latest issue of US mag Game Informer, which carries a report that clearly states that there isn't going to be a Half-Life release at all this year. The third chapter of the Half Life 2 series will be the follow-up to Episode Two, which was released way back in 2007, as a stand-alone release and bundled in as part of Valve's awesome The Orange Box for PC, 360 and PS3. TechRadar recently announced that The Orange Box was our game of the noughties. Last year, Valve's Gabe Newell said that development on Episode Three was ongoing, but would not be drawn further on details. We can only hope that Valve will be attending this year's E3 2010 in June. And we pray that we get more concrete news on the new Half Life 2 game before then.